The original edition of this great book on this American illustrator & muralist. 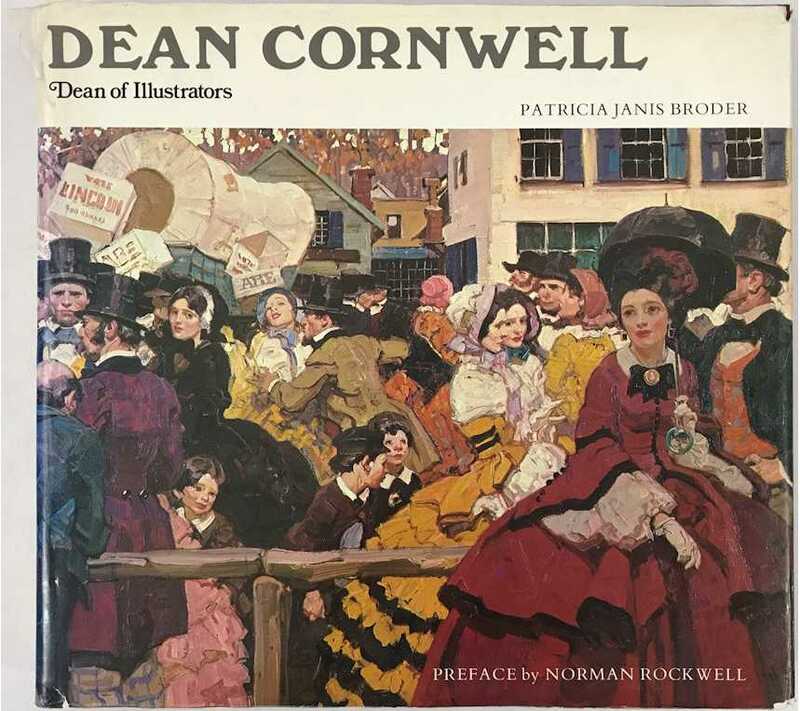 This book has 63 paintings in color, additional paintings reproduced in black & white, and a treasure trove of Cornwell's pencil drawings and studies that he created preliminary to painting. "Dean Cornwell, in his magazine and book illustrations, posters, calendar art, and advertising art recaptured decade by decade the image, spirit, and style of twentieth-century America." A necessary volume for any illustration library.